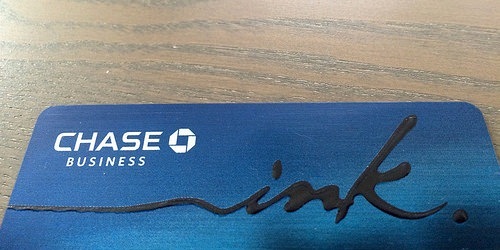 Recently, I was updating my post on the Chase Ink credit cards when I noticed that the annual fee on the card had jumped to $150! Yes, $150. For the record, the annual fee was only $95, and it’s waived for the first year. So it’s a great deal for those looking to earn a bunch of bonus points and avoid any and all fees. But it seems Chase is getting a little tougher on new customers with some annual fee testing apparently in the works, which has been confirmed via screenshots at MileValue. At first I thought it was a misprint, then I discovered that Chase is apparently testing three different versions of the annual fee on their Chase Ink Plus card. One has the $95 annual fee, which is waived for the first year. Another has the $95 annual fee, which is NOT waived the first year. And the final one has a $150 annual fee, which IS waived the first year. It’s unclear if there is a $150 annual fee that is NOT waived the first year, though no one has seen it yet. For most casual would-be Chase Ink cardholders, the fine print about the annual fee could easily be missed. This would be unfortunate if you wound up paying an extra $55 annually to hang onto the card, or worse, were charged the $95 annual fee on your first billing statement. The takeaway is that you need to be very careful when shopping for a new credit card. Once you know which card you want, you should begin searching for the best available deals and offers for said card. Sure, there’s a chance the card is only offered in one format, but there’s also a good chance the card has different fees, APR, and/or rewards. For example, it’s not uncommon to find a $300 cash back sign-up bonus when a $100 bonus is circulating at the same time. Or a 50k sign-up bonus when a 25k bonus is also in circulation. So take the time to research the card you’re interested in before pulling the trigger and applying! Tip: If you do happen to the choose the “wrong version” of the card, you might be able to contact the card issuer and ask that they honor a different deal that is/was running concurrently when you signed up. Never give up.